Chorale prelude for organ in G minor, BuxWV 211, "Nun komm der Heiden Heiland"
Anonymous; Anonymous, Carmina Burana; Anonymous, Italian; Anonymous, Spanish; Claudio Monteverdi; Dietrich Buxtehude;... Fine. In fine packaging. 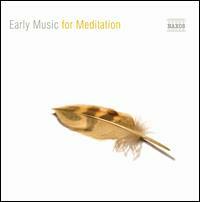 Early Music for Meditation. Anonymous; Anonymous, Carmina Burana; Anonymous, Italian; Anonymous, Spanish; Claudio Monteverdi; Dietrich Buxtehude;... Very Good. In very good packaging. Early Music for Meditation. Anonymous; Anonymous, Carmina Burana; Anonymous, Italian; Anonymous, Spanish; Claudio Monteverdi; Dietrich Buxtehude;... New.